Contact Vetwest Animal Hospitals at Vetwest Animal Hospitals to express your interest. 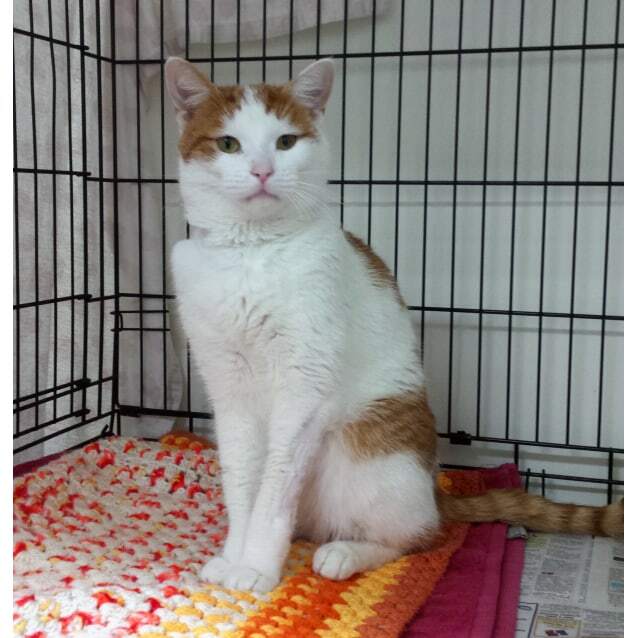 Rambo is our handsome, short-haired, ginger and white cat who is looking for a new loving home. Rambo is a very affectionate young man and likes to have a chat (especially when he's hungry!!). He is quite the laid-back young man but doesn't really like dogs. Rambo has been sterilised, microchipped and is up to date with his vaccination as well as his flea and intestinal worming treatments.